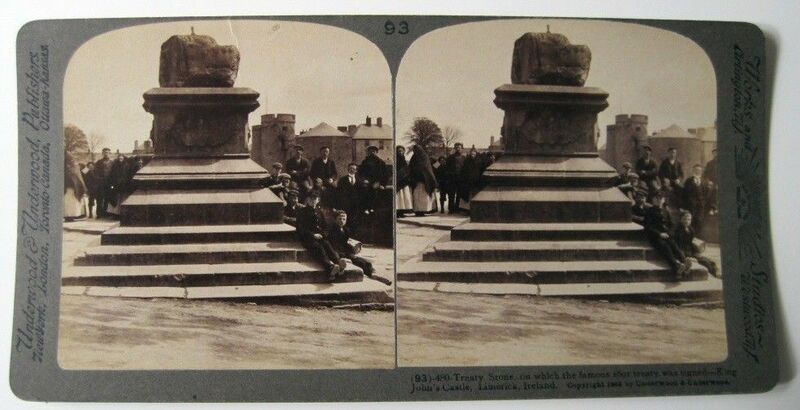 This stereo-view of the Treaty Stone was produced by the largest producers of stereo-views in the world Underwood & Underwood Publishers. 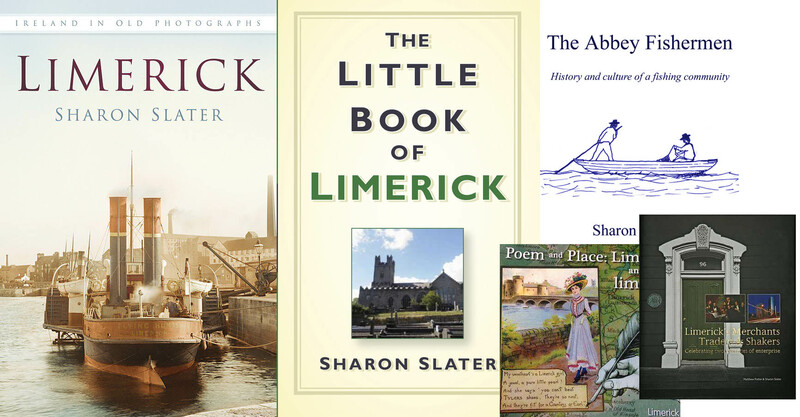 They produced stereo-views from 1882 until 1920 this image in Limerick was taken about 1900. These slides were placed into a viewer and held over the eyes, the slight variation of each image would give the illusion of a 3D image. 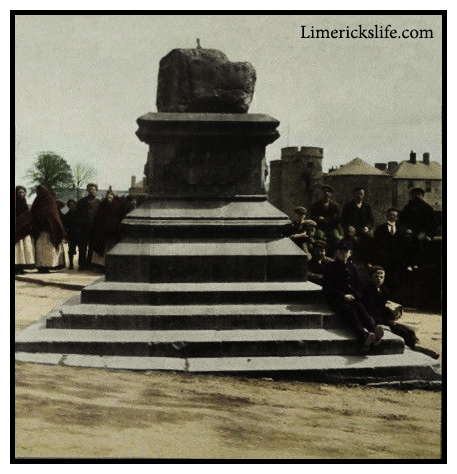 The image below is an iconic view of the Treaty Stone with Limerick Castle behind. Below is the same image colourised to try and give it more life than a black & white image. It was difficult to decide what colours would suit each individuals clothing. Though the postal boy sitting on the steps of the Treaty Stone was known to have a blue uniform.